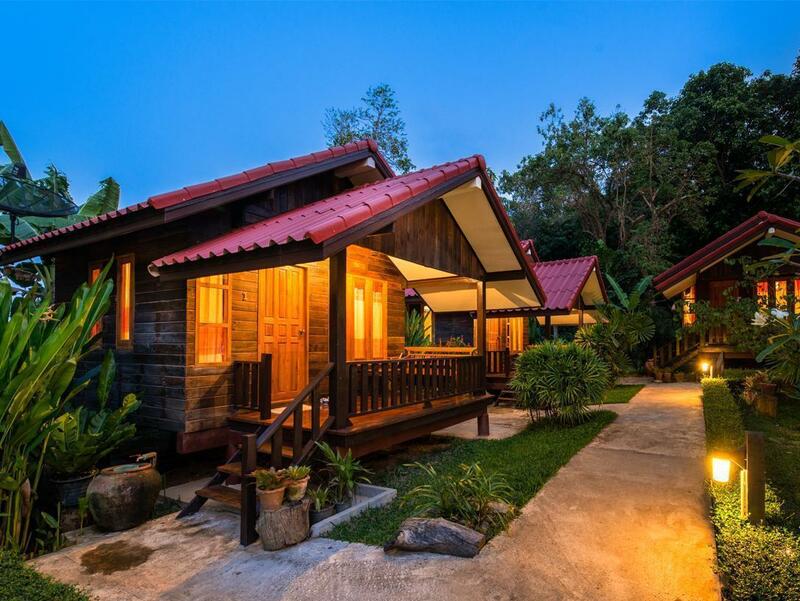 Heeft u een vraag voor Ban Chom Samed Resort? Ban Chom Samed Resort in Ao Noi na, Koh Samet is een populaire keuze onder reizigers. Gelegen op 4.4 km van het hart van de stad, bevindt dit 2-sterren hotel zich op een excellente locatie met de grootste attracties binnen handbereik. Dankzij de praktische locatie liggen alle belangrijke trekpleisters in de buurt van het hotel. Het Ban Chom Samed Resort biedt een onberispelijke service en alle essentiële voorzieningen om reizigers een plezierig verblijf te bieden. Dit hotel beschikt over vele faciliteiten die zelfs de meest veeleisende gasten zullen overtuigen. 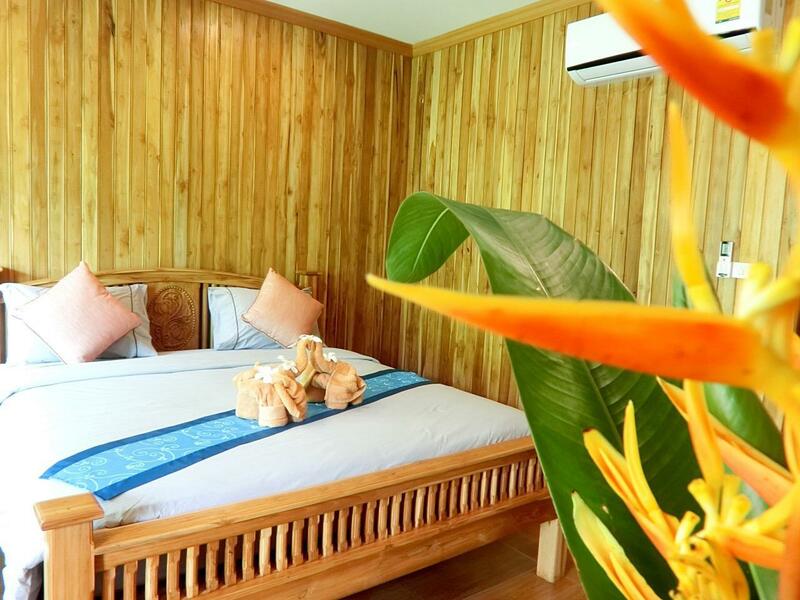 Het Ban Chom Samed Resort beschikt over 8 kamers, allemaal smaakvol ingericht voor optimaal comfort, met voorzieningen als kledingkast, kleedkamer, handdoeken, kledingrek, plasmascherm televisie. Het hotel biedt fantastische faciliteiten, inclusief vissen, massage, tuin, watersport (gemotoriseerd), zodat u kunt onthaasten na een bezige dag in de stad. Het Ban Chom Samed Resort is een ideale verblijfsplaats voor reizigers die charme, comfort en gemak zoeken in Koh Samet. Het mooie huisje, de ligging en de prachtige tuin. Ik heb er van genoten. Zo heerllijk rustig gelegen, dicht aan zee. Met je motorbike ben je zo in de drukte en op de mooie stranden. Wil je echter rust, dan ga je terug naar Chom Samed en ontspan je op je balkonnetje in de tuin. Ontzettend leuk en goed verblijf gehad. Enorm behulpzaam en aardig personeel. Ontbijt was niet zoals omschreven continental, maar mocht zelf aangeven wat ik wel wilde eten. Heerlijk vers fruit en een omelet. Staying there for 2 nights was a pleasure. Nice room. Very friendly staff and warm welcome from arrival to leaving. Close to the beach and restaurant or coffee shops. Lovely breakfast served from the resort. Very good to relax in the nature surrounding of the resort. Will stay there again. Amazing little place just off of a quiet little beach. So clean with lovely little gardens, even the garden benches were polished to a high shine! Breakfast was lovely, it's a get what you are given rather than a menu or buffet but we are vegetarians and the owner was happy to accommodate this. Our only criticism was that they could not provide a cot bed for our 1 year old so she had to sleep on the floor (the bed being too high with hard floor, she would likely fall / climb off). We would definitely stay here again and so would our friends who are regular Thailand visitors. 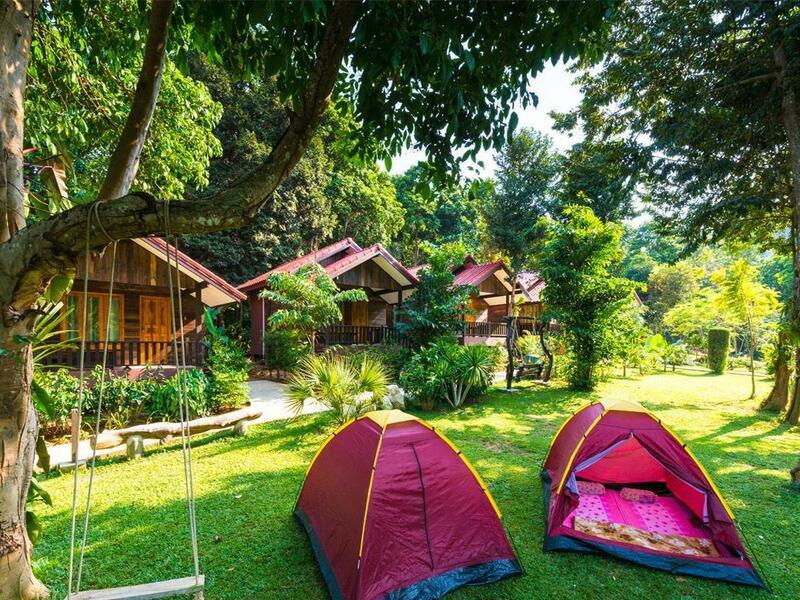 The Bon Chom Samed has beautiful grounds, with lush tropical plants, swings, a hammock, and lots of butterflies. It is at the quiet end of the island, with a few good restaurants and small convenience shops close The rooms were nice, with comfortable beds and nice porches. There is a small beach close to the hotel, which unfortunately had a lot of trash. I did not enjoy the breakfast, because, while it was a typical breakfast of eggs, fruit, toast and meat, the eggs were pre-cooked and were only available sunny-side up. The main problem I had with this resort was that although I booked with agoda, the booking was transferred to another booking agency which I never use, as I have had trouble with them in the past. For this reason, I would be unlikely to book this resort again. It was a great stay, breakfast was simple but tasty. The only downside is that it didn't have great beach access. The open beach nearby was dirty, but you can just rent a bike (highly recommend) and scoot down to Ao Prao or somewhere gorgeous for the beach. This hotel is located at very quiet area in the island although it is a little bit far from the port. And also, the garden is very clean and beautiful. So, I felt very comfortable at staying there in addition to enjoying the beach. All staff are also very friendly, and the breakfast is very nice. Great staff and owner, safe chilled out feel , 100 meters from a great beach. Made to feel very welcome, clean comfortable rooms in a tranquil setting and the staff and owner Tum were fantastic. Would recommend this resort to everyone, it is a special place and I would always stay here as it is safe and well kept. Top marks!! A lovely stay here at Ban Chom Samed, its was lovely and quiet away from the other busy parts of Koh Samed. Would stay here again. The lady who runs the resort, sorry don't know here name, was lovely and could not do enough to keep us happy during our stay. Newer resort, only 5 years new. Super clean! Extremely friendly, accomodating and helpful staffs. The owner is very welcoming and down to earth. We were the only customers during our stay, 6 of us. Our daily breakfasts were freshly made and personally served for us daily. It's located on the opposite side of the main beach, which we found to quite pleasant, peaceful and quiet. I definitely recommend this hotel and looking forward to coming back!!! Breakfast could improve a lot. Hotel has no swimming pool. Beautiful little resort. Nice tidy garden. 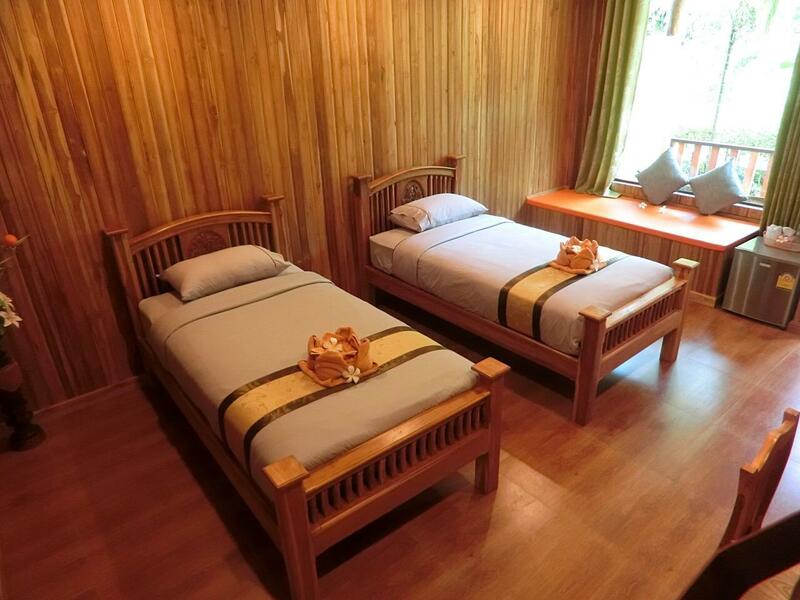 Very clean bungalows, bed maybe a bit hard. We personally would wish a small clothline to hang swimsuits and beachtowels. scooter to rent for fair price on site. bicyles available. Lovely owners and staff. Breakfast ok. Very quiet location, beach 2 minutes walk away. We highly recommend this resort if you are looking for a relaxing holiday. An overestimated place. The room and the territory are fine, but the breakfast is very average. The breakfast is different every day, but you can't choose a type of eggs, for example. The eggs were overdone, the coffee was instant, the "orange" juice was terrible :-) Also, they did not clean my room on the second day. I could not find the hostess in the evening, so I just skipped it. I came to koh samet to avoid the craziness of bkk and came across this hotel. I was traveling with my girlfriend, and found that this place was my best hotel I've stayed in out of the 10 times I've been to the island. Beautiful gardens and 2 minute walk away from a quiet beach. On arrival the owner was so accommodating, showed us to our room (brand new) and told us where to rent motorcycles etc. Located right at the north of the island we avoided the craziness but still wanted a couple of mad nights only a short tuk tuk or ride away. Breakfast was great and overall would thoroughly reccomend this hotel to anyone traveling to samet.